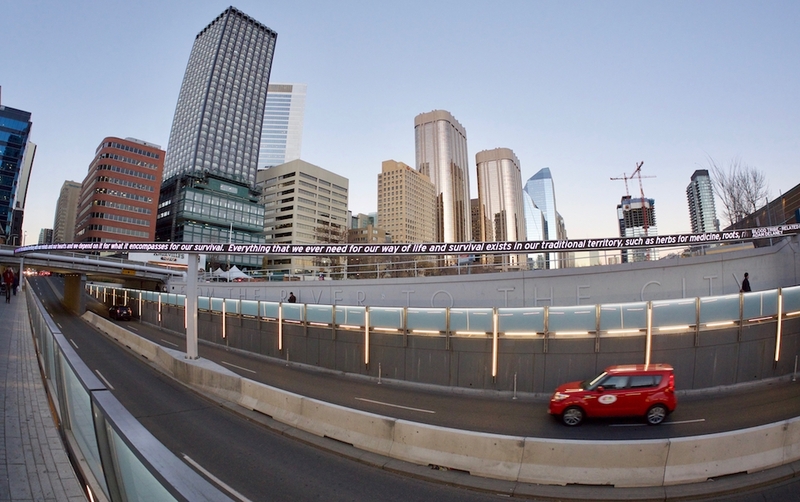 The Calgary Scroll is a public art work commissioned from David Rokeby by the City of Calgary as part of the refurbishment of the entire length of 8th Street. The 8th Street underpass that hosts the artwork exists because of the old railway yards that used to dominate downtown Calgary. All entry into the downtown area from the south must still pass under the remaining CPR tracks, and much of the railway lands remain vacant, serving as a huge parking lot. The railway left a scar across the body of Calgary. 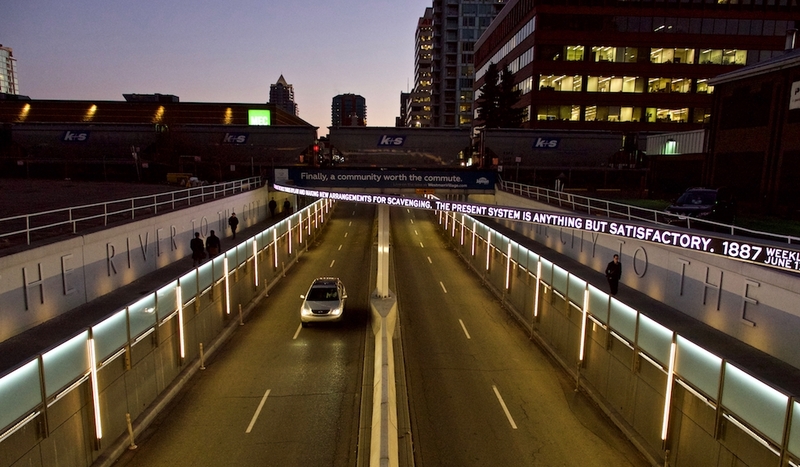 The Calgary Scroll turns this scar into a repository of civic memory. The public artwork is a gracefully curved, 150 foot long LED display inspired by the curves of railway rails as they cross from track to track. 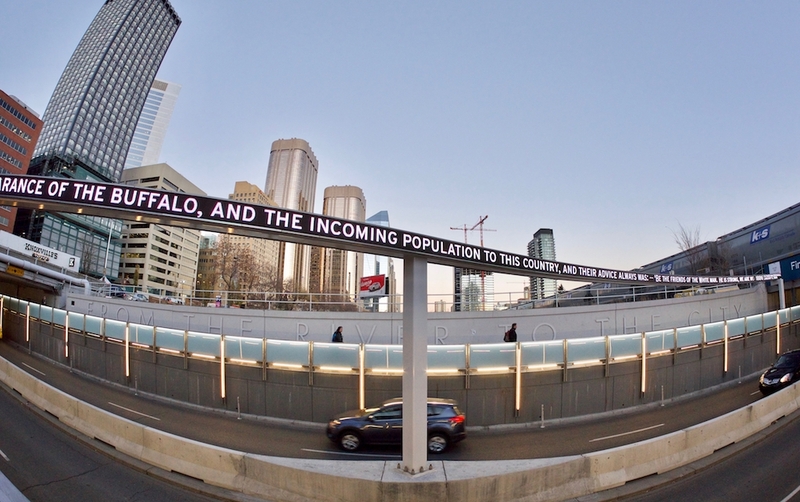 The displays present scrolling fragments of text presenting snapshots of everyday life from Calgary'€™s first 25 years, 1880-1905, relating to the railway, the river, fragments of advertising, news stories and more. Passers-by can jog the memory of the Calgary Scroll by texting to the sign, encouraging the artwork to present texts related in some way to the contents of the text.